The “Go-Go” kid will be bringing his no brakes style of baseball back to Milwaukee this season, and three more seasons to come! 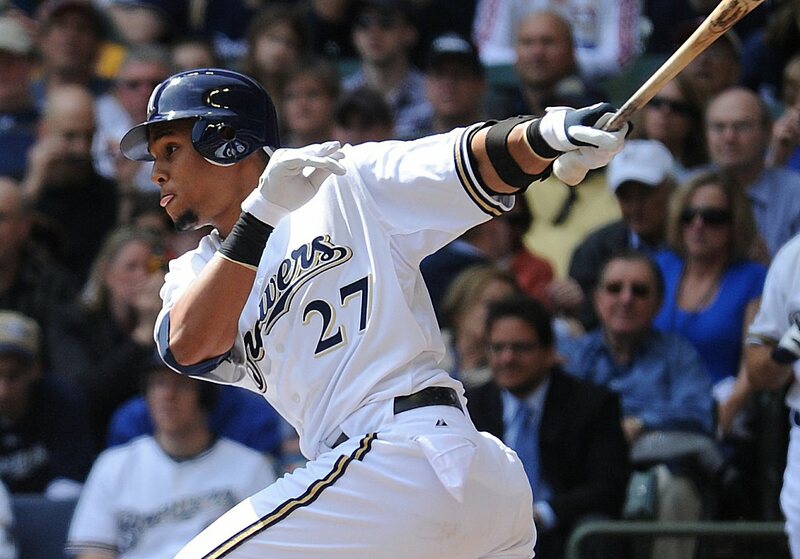 The Brewers signed Gomez to a three-year extension worth $24 million that keeps him a Brewer through the 2016 season. With Nyger Morgan gone, there is more opportunity for Gomez to play everyday as long as he keeps his on base percentage up. With his speed, and whip of an arm, Gomez is probably the best defensive centerfield in the MLB and it would be a shame to lose that for lack of offense. In 2012 #27 played in 137 games, had 415 at-bats, 108 hits, took only 20 walks, drove in 51, knocked 19 balls out of the park, and stole 37 bases. His batting Average was .260, while his on-base percentage was only .305. Carlos who used to be a victim of the curve, has worked on plate discipline and tweaked his swing which should help at the plate, if Carlos can get his walk total up, hit around .280, with an on-base percentage around the .550 mark he will be a force to be reckoned with. Account for Gomez’s speed which not only makes him the great outfielder that he is, and makes any walk or single into an almost guaranteed double. I also like the fact that he forgone the chance to play in the World Baseball Classic in order to work on his career and put in full-time at spring training…Last night had to be extra hard since his home country (the one he would’ve played for) the Dominican Republic beat the U.S. 3-1 in the second round, a win that put them into the semi-finals of the WBC. It’s refreshing to have a ballplayer really want to play for the game, and work on his craft. So far this spring, Carlos has shown just that. In 26 plate appearances he has 9 hits, 6 walks, a batting average of .475, with an on base percentage of .615. If he keeps this up, he may just “Go-Go” to an All-Star game! 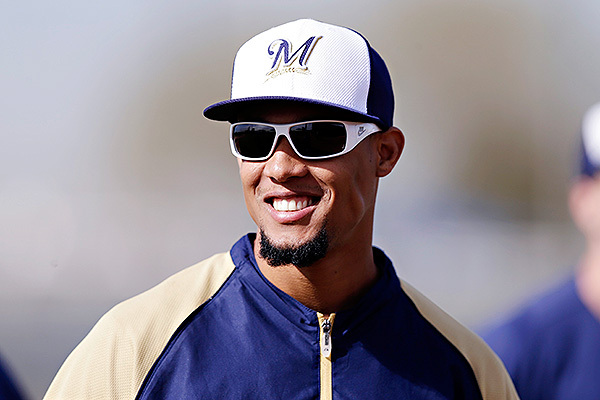 This entry was posted in Baseball, Milwaukee Brewers, MLB and tagged carlos gomez, Dominican Republic, Milwaukee Brewers, Spring Training, world baseball classic. Bookmark the permalink. I met Carlos at spring training last year the guy’s has a nice personally really easy to converse with.I hope he has a great season he has all the tools . If he runs into a small slump during the season there’s Logan Schaefer to back him up, he is a great defensive outfielder and can really rip the ball at the plate. Go Brewers!!! 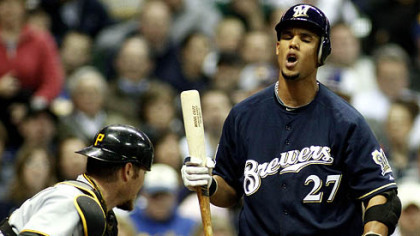 Well I’m going to spring training next week and I might see Carlos Gomez!!!!! He better play every damn day and put up some numbers for 8 mil/yr!